Every course in the educational programs offered at California Coast University requires an assigned textbook. 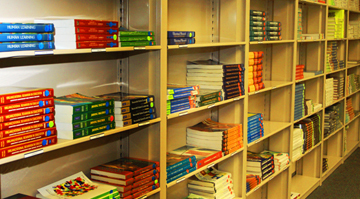 To assist students to manage the high costs of textbooks, CCU offers a rental library. Students rent a textbook for $30 for 120 days. Student may request a book by letter, fax, email, telephone or via the Coast Connection online portal. A security deposit and a rental fee will be charged for each book. When the book is returned, the security deposit is transferred to the next book rented. The security deposit will be refunded when all coursework has been satisfactorily completed, and the final textbook is returned on time and in the same condition in which it was provided to the student, or upon written request to withdraw from the University. Students are also welcome to obtain textbooks in their local areas or through online sources if they do not wish to utilize the California Coast University rental library.